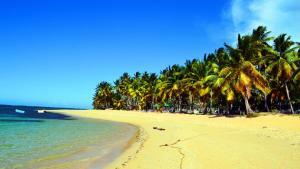 Find your ideal accommodation in Las Terrenas and compare the best offers for your holidays in Samaná. 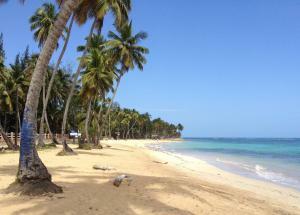 On this page you might discover more about the different types of accommodation available in Las Terrenas, Samaná. If you wish to find the best prices of hotels we recommend you to previously select the dates of when you wish to stay in Las Terrenas. Located in the hills above Coson Beach, Villa Angel offers an infinity pool with panoramic views of the tropical landscape and sea. 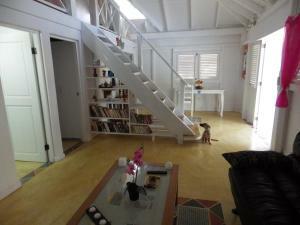 This fully equipped villa is just 5 km from Las Terrenas. 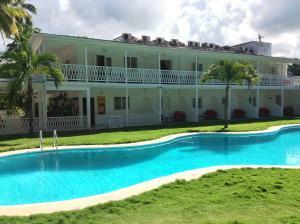 Located in Las Terrenas, La Fenice offers an outdoor swimming pool, free WiFi access and a patio with BBQ facilities. Offering an outdoor swimming pool and a garden, Escalonia is located in Las Terrenas, 200 metres from Pueblo de Pescadores Beach. Free WiFi access is available iside the house. 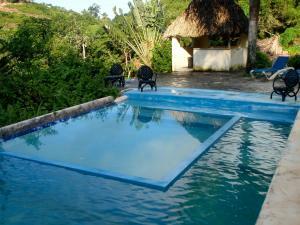 Villa De Charme Colonial is a villa with an outdoor pool, set in Las Terrenas, 1 km from Pueblo de los Pescadores. It provides free private parking. Free WiFi is offered throughout the property. Offering an lagoon-shaped outdoor pool and a restaurant, Las Cayenas Beach Hotel is located on Las Ballenas Beach in Las Terrenas. 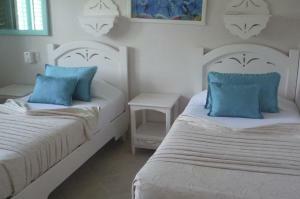 All the rooms features a furnished balcony or terrace and free WiFi access. Located in Las Terrenas, Oasis Hotel offers self-catering beachfront apartments with free WiFi access, an outdoor swimming pool and an on-site fitness centre. Free private on-site parking is also available. Offering free WiFi and an outdoor pool, Residence Villa Mario e Marisa is set in Las Terrenas, 1.4 km from Pueblo de los Pescadores. 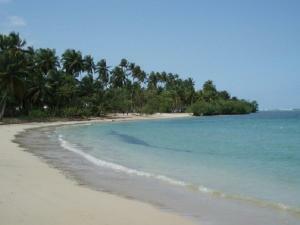 Villa Ribera Mar is a property set facing the shores of Las Ballenas Cays. 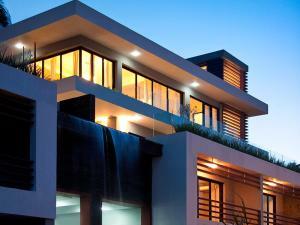 This modern-style property has gardens, terraces and an outdoor swimming pool. Guests will also massage services. 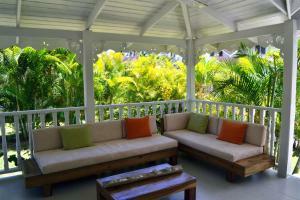 Villa Mango is a villa with a terrace, situated in Las Terrenas. 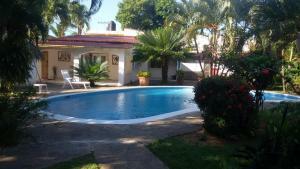 The property is 300 metres from Pueblo de los Pescadores and free private parking is offered. Free WiFi is featured . 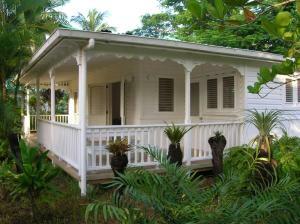 Featuring free WiFi, Pepe Gaby Holiday Home is situated in Las Terrenas, 1.9 km from Pueblo de los Pescadores. Guests benefit from terrace. Free private parking is available on site. Set in Las Terrenas, 2.4 km from Pueblo de los Pescadores, Eco Bed & Breakfast Villa Begonia boasts air-conditioned rooms with free WiFi throughout the property. Free private parking is available on site. Offering an outdoor swimming pool and an extensive garden with hammocks, Jurassic Park is located 10 minutes’ drive from Playa Bonita Beach. Free Wi-Fi access is available. 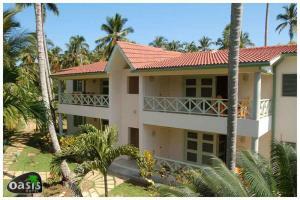 Kanesh Villas is a self-catering accommodation located in Las Terrenas. Free WiFi access is available. 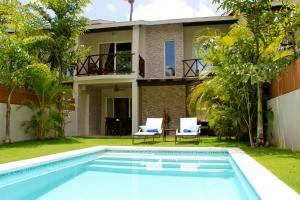 Featuring free WiFi, Apartamento en la Dolce Vita Residence offers accommodation in Las Terrenas. Pueblo de los Pescadores is 1.1 km away. Free private parking is available on site. 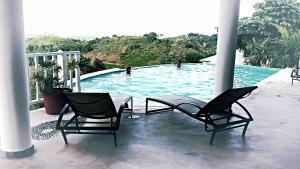 Featuring an outdoor pool, Coquette villa créole is a detached villa located in Las Terrenas. The property is 200 metres from Pueblo de los Pescadores and features views of the pool. Free private parking is available on site. 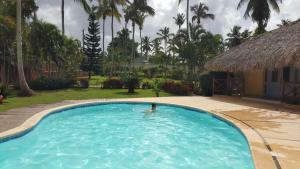 Located in Las Terrenas, Villa Panorama Beach is a villa featuring a year-round outdoor pool. 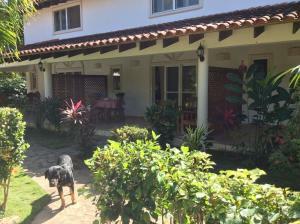 The property is 900 metres from Pueblo de los Pescadores and free private parking is featured. 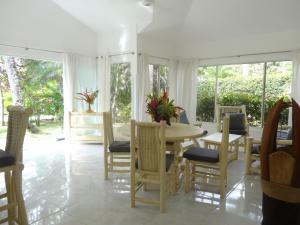 Villa Paz is a villa featuring free WiFi and a terrace situated in Las Terrenas. The villa is 1 km from Pueblo de los Pescadores. Free private parking is available on site.